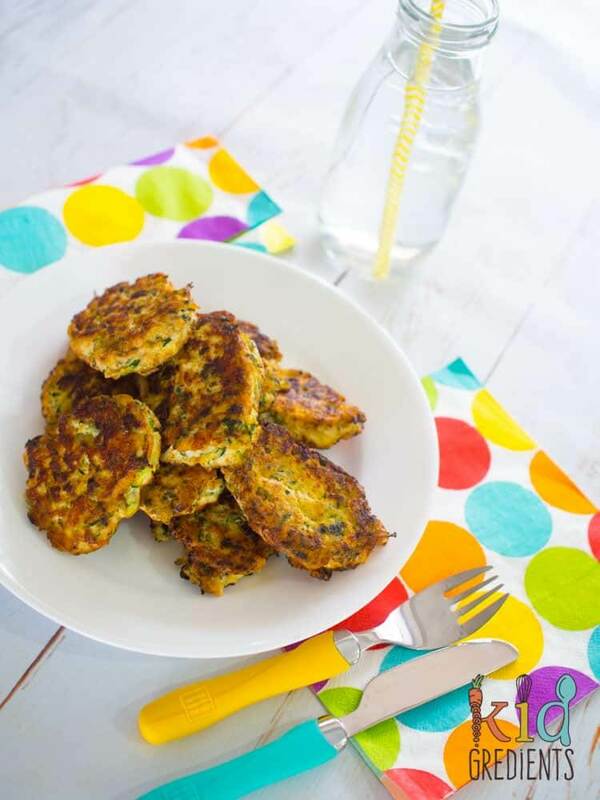 Do you want an easy, freezable and yummy cold lunchbox filler? Or something quick and easy for dinner? 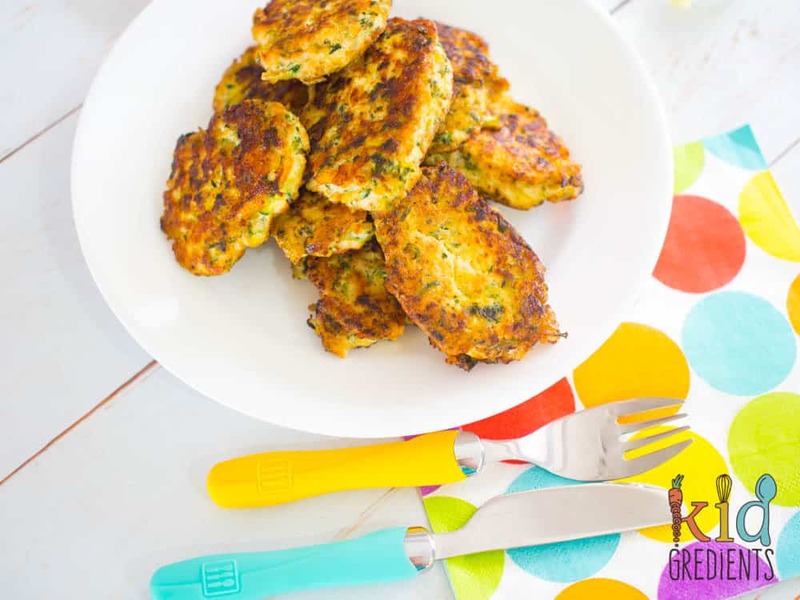 These chicken, haloumi and kale fritters are ticking all the boxes. 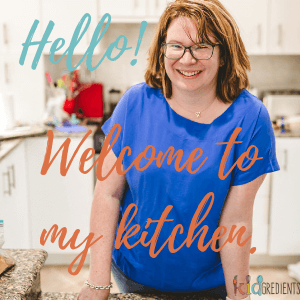 Easy to make and super kid friendly, you might need to make a double batch if you want leftovers. They are super versatile and contain only 4 ingredients. My kids love salty things, and haloumi is super salty. I think they think it tastes a little like hot chips…maybe because they are always dusted with salt. Anyway, I thought the kids would baulk at the ingredients used in these, but I couldn’t have been further from the truth. 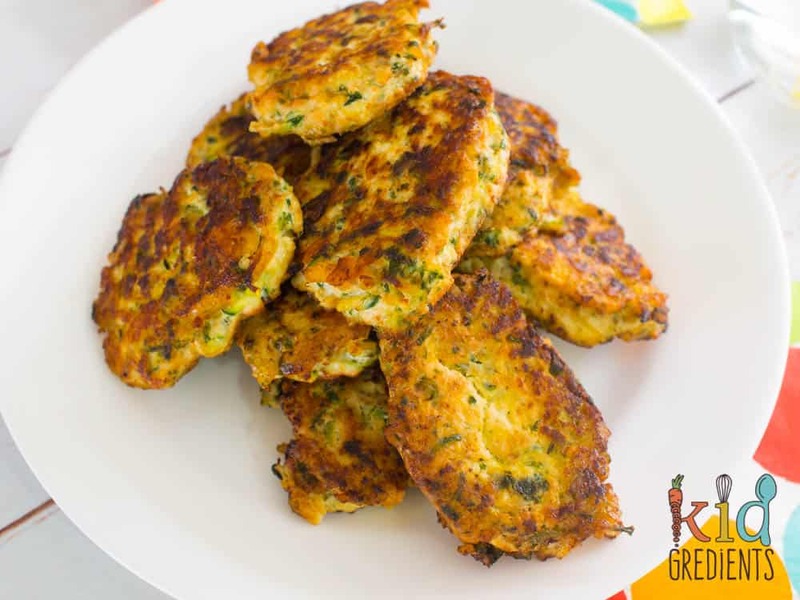 They love them, as burgers, as a lunchbox filler and even just as part of dinner. 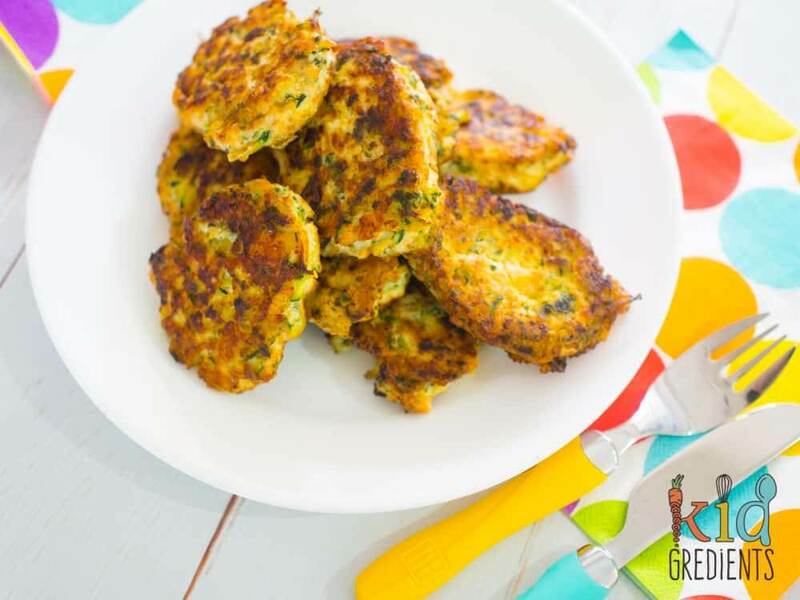 These fritters are easy to make and super easy to freeze, I freeze them flat on a tray and transfer to containers when they are solid. Otherwise you can’t take them out individually and use them as you need them. If you want to freeze them, you need to defrost in the fridge over night. You can also freeze them uncooked, defrost in the fridge before frying. You might think ewwww, kale! But, to be honest this is one of the best ways to ease yourself into eating this healthy veggie. It’s now available frozen and chopped, which means for recipes like this one it is super convenient, no trimming, steaming and finely chopping before using in this recipe. 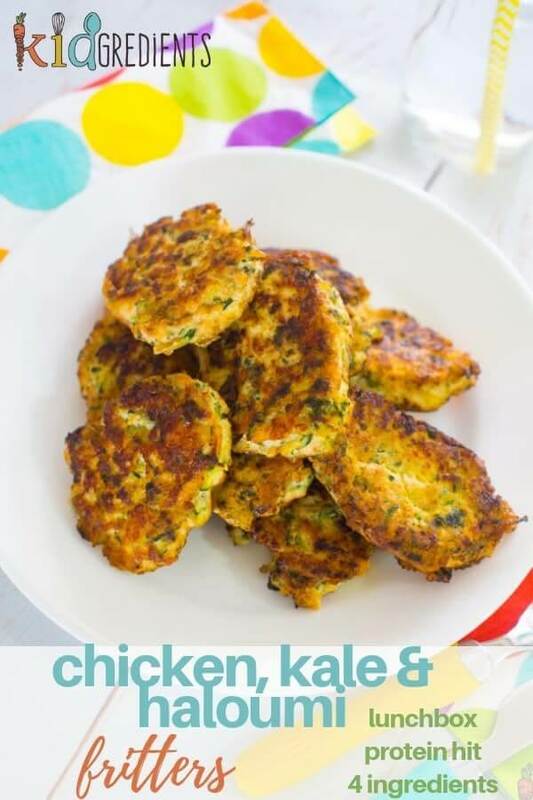 If you really can’t stand kale, then you could make this with frozen spinach, just make sure after defrosting it is well drained as it tend to hold more water than kale. 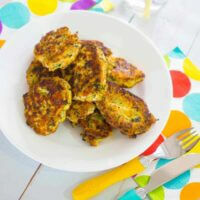 Chicken, haloumi and kale fritters, yummy as a dinner protein, perfect as a cold lunchbox addition! Even great as a burger! Combine the haloumi, chicken mince, kale and egg in a large bowl and mix well to combine. Heat some olive oil in a fry pan over medium heat. Place tablespoonfuls of the mixture into the pan. Fry the fritters on the first side until golden then flip and fry the other side until golden. Serve hot or cool and store in the fridge. These are also freezer friendly, defrost in the fridge overnight.